Ashbourne is a small market town north west of Derby, lying just south of the Peak District. It is known for the traditional game of Shrovetide football, the origins of how the game came about is not known because of a fire at the Royal Shrovetide Committee office in the 1890’s which destroyed the earliest records. To me, it appears to be a rather violent game to be a part of, so much so that some local businesses board up their windows. I do enjoy a good competitive game of something sporty, but I think I would give this one a miss. 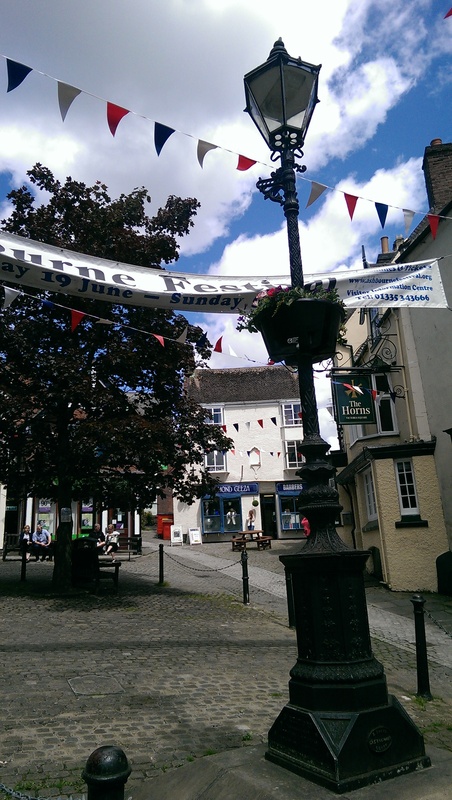 On the day we went to Ashbourne it was sunny and warm, until the wind blew…the high street had red, white and blue bunting all the way down it. I wasn’t sure what the occasion was…maybe it was because the sun was out. A nice afternoon can be spent in this southern Derbyshire town. The centre has a decent array of clothing, charity and antique shops. We had chips from one of the two chippys in the centre. We appeared to choose the less popular one, as we were served almost immediately, but the other chippy had a constant queue out the door. As with any town in Derbyshire there’s plenty of history to delve into, such as old buildings and churches. We passed by the Ashbourne Heritage Centre, which is situated on the main road as you walk away from the centre. It was free, so we thought that we would take a peak inside. It is a very small museum, but rather interesting. In the hallway there are glass cabinets filled with broken pieces of pottery, that were all dug up from the back garden to this property, which is quite amazing because these artifacts were varied and ranged from various time periods. This back garden must have been an archaeological haven! In the main room there was varied historical information about Ashbourne from newspaper articles to old artifacts, including a couple of Shrovetide footballs. We overheard that we were the first visitors of the day and it was mid afternoon! This saddened us as there are some interesting items in this little museum. So we donated what little change we had. 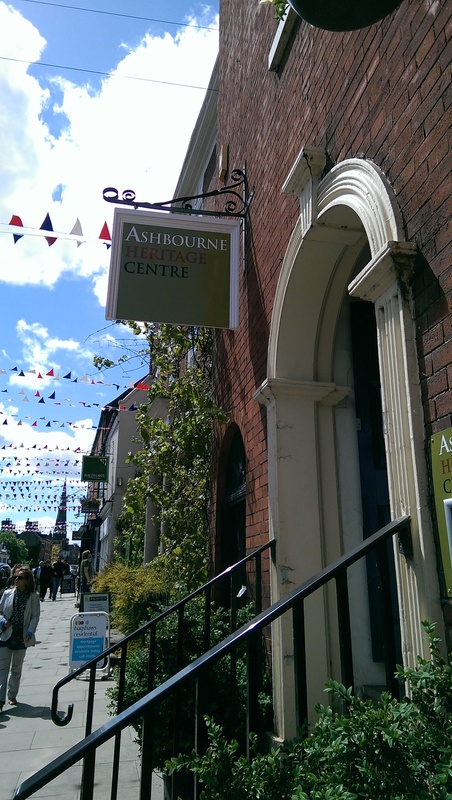 If you are in Ashbourne then you should pop in to the heritage centre, as it’s important for small towns such as Ashbourne to hold onto their heritage and be able to share it with others.